I posted this over on the 348-409 Forum, thought I'd share it here at CT so others might chime in. This is a 1961 Impala Sport Coupe (not an SS car but with SS caps) that the current owner asserts was ordered with a rather unusual set of components. See the print on the sheet signed by the original owner (if you can read it). 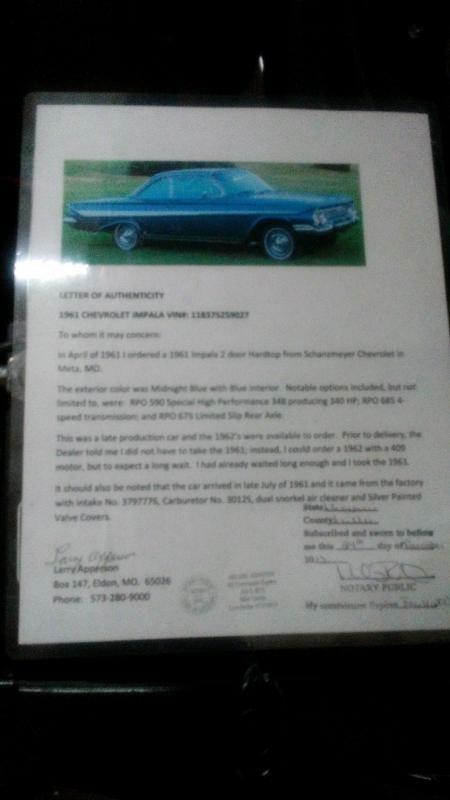 Car was ordered in April delivered late July 1961. 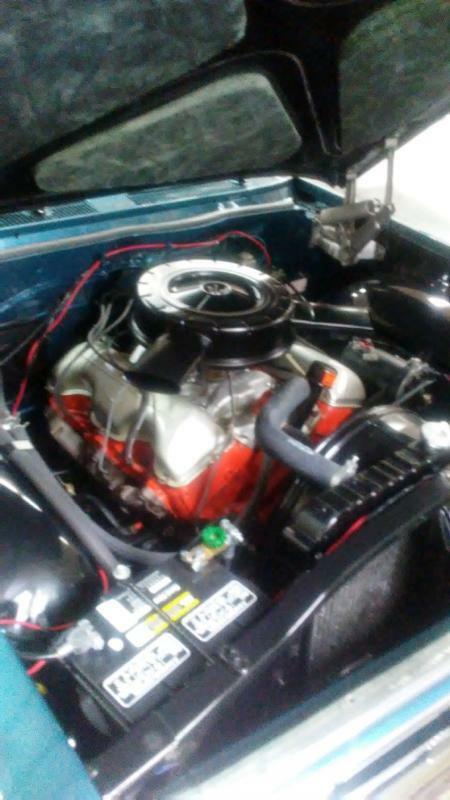 He ordered the 340 horse 348 and a four speed/posi setup (RPO 590 for the 340 engine). Came with a 776 intake (thought that was for the 360 horse 409) and silver valve covers (ala the two 1962 380/409 horse engines). What do you make of the "documentation"? I'm about an hour and a half from the vehicle but only an hour away from the original owner. It's a real nice car :). I sincerely doubt that it was delivered that way. Photos from back in the day would be the proof. Otherwise, it's just speculation. PS: I can't read all of the documentation. Too blurry. Also, I don't buy the probability of using early '62 silver valve covers because those valve covers aren't '62s. Edited by Verne_Frantz on 09-08-18 10:24 AM. Reason for edit: No reason given. I forgot that those "silver" valve covers from 1962 would have been "drippers", right? I was a little suspect as well, I bet the original owner might have confused "factory" with "dealer". We may never know. Either way it is a really nice car. He also had a frame off restored 1965 Impala convert, Turqoise Mist I believe (sp? ), factory four speed bench seat car. 400 horse 409. Real nice also. Edited by Tom_Kochtanek on 09-08-18 12:06 PM. Reason for edit: No reason given. In my humble opinion, you are one of the definitive experts on the "X" frames. If you say it's a fake, I believe it's a fake. I held down my Ctrl button, and scrolled my mouse on the photo. You can actually read it then. It's a little misleading by the fact that it's notarized. I can type anything I want and get it notarized. Just because it is notarized doesn't mean the statements are true, just that the guy writing it was there. My two pennies. Nice car though. I thought it might be interesting to look up the original owner who "crafted" that notarized letter. You never know, he might have some old pictures :).